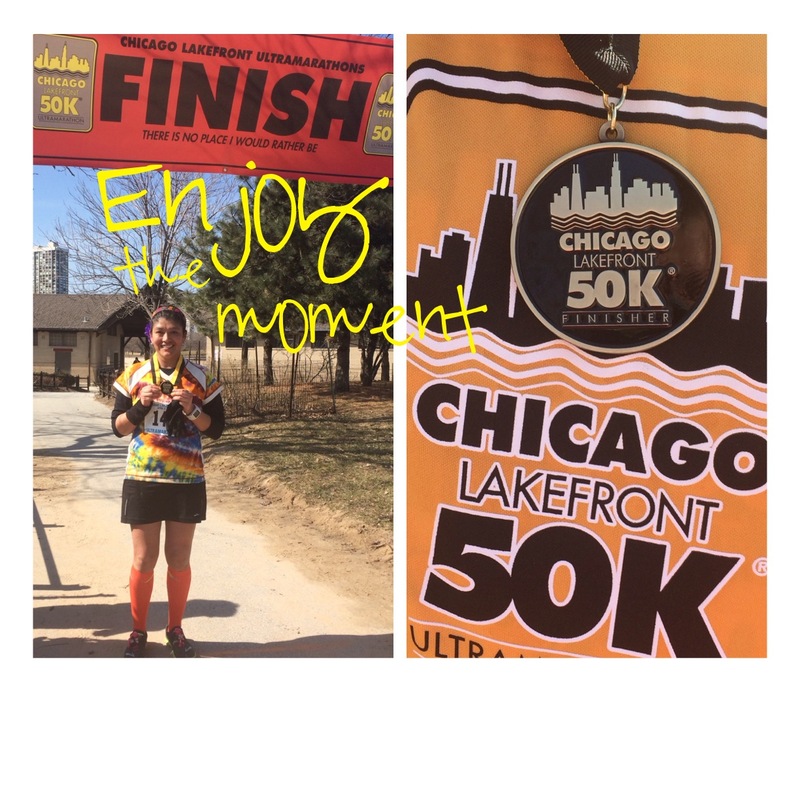 On Saturday, April 5, I completed my 2nd ultramarathon. I ran my first one two years ago. This race was a fun experience but I will admit that I also felt some disappointment. 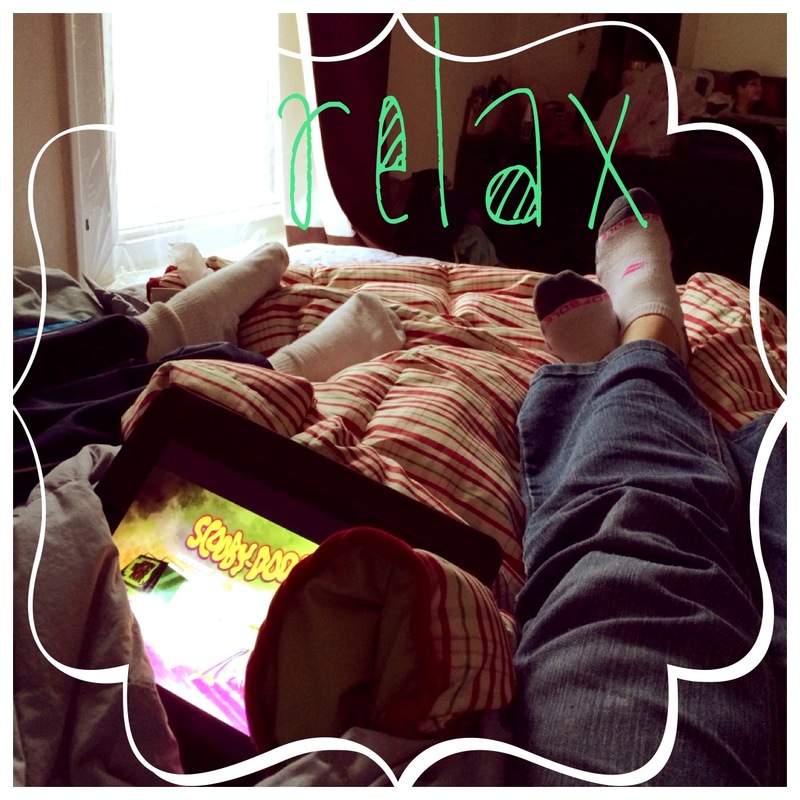 I spent the week leading up to the race just relaxing and not thinking too much about it. I know that if I think about it then I worry and what good does that do? Absolutely nothing. I made sure to drink plenty of water and carbo loaded on Friday. The weather was perfect on race day. It was sunny and no wind. I saw Amanda from Too Tall Fritz and Michelle from This Momma Runs. I was so nervous that I went to the bathroom 3 times. Luckily there weren’t too many people running the race so the lines moved pretty fast. I got in line at 8:25 and realized that I did not have my iPod. I thought I had lost it. When I couldn’t find it, I went to my bag to leave my headphones and saw that my iPod was already clipped to my waterbelt. By then the race had started and I was still trying to get myself together. There was no chip time so it is important that you start on time. I was finally ready and was probably the last one to cross the start line. I did not worry at all because I knew I would catch up to the other runners. 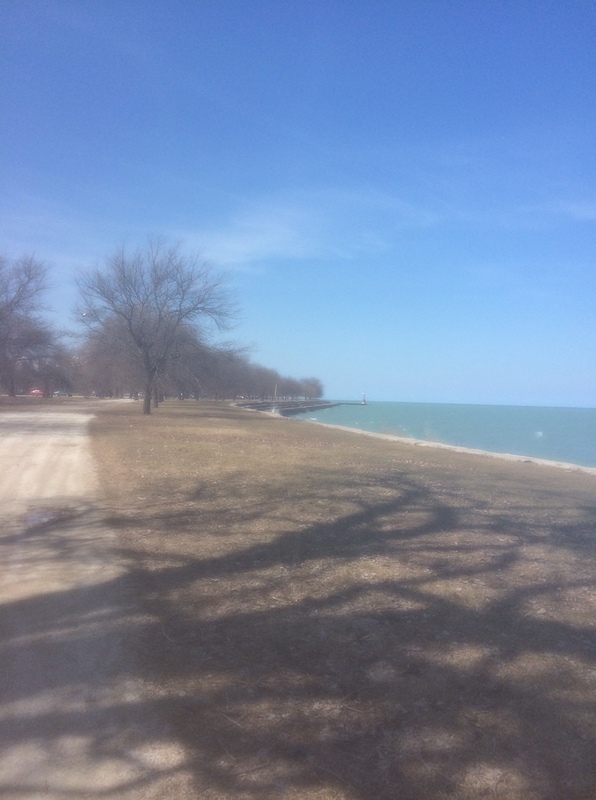 My friend, Rhoda from Relentless Rhoda, agreed to run with me for 9 miles. I saw her before mile 1 and we ran till the first turnaround on North Avenue (5.2 miles) and then continued on till mile 9. It was great running with her. Thanks Rhoda!! Mile 15.5. I was in a lot of pain and took two ibuprofens. Thank goodness I did because it would have been tough to run another 15.5 miles. I ran and walked the rest of the way. I turned on my iPod but for some reason the battery had died. It was weird because I made sure to charge it the night before. Ugh, I was annoyed because I spent a few minutes before the race looking for the darn thing. By the time I got to mile 20.7 (start/finish area) there were a few people that had already finished. What?!?!?!? Just before the finish line. Not sure why it is blurry. Done. Finish time is 6:39:08. 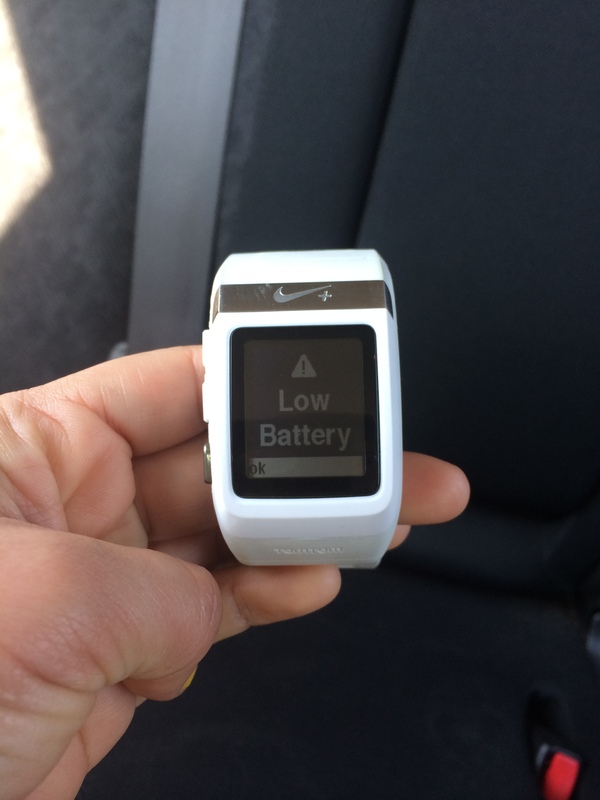 Luckily I finished before the watch battery died. 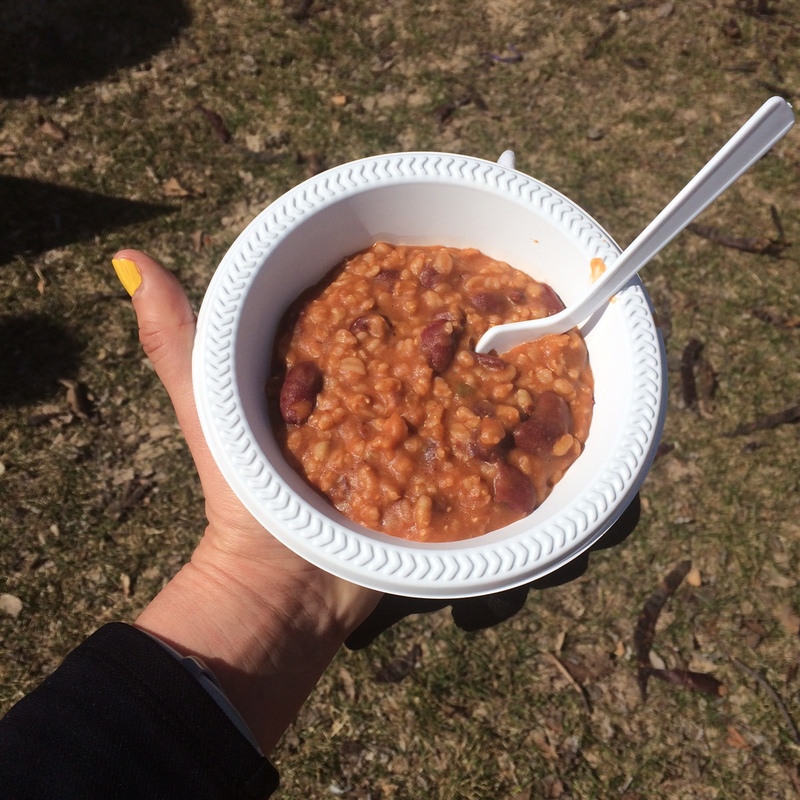 Post-race food. I had two bowls because I was hungry and one wan’t enough. I keep thinking about the race to figure out what went wrong. The weather was perfect. I felt really good. I did not have any hip pain. So it should have gone just perfect right? I know I cannot PR at every race. However, I did not think my finish time would be 20 minutes more/worse than my first ultra. 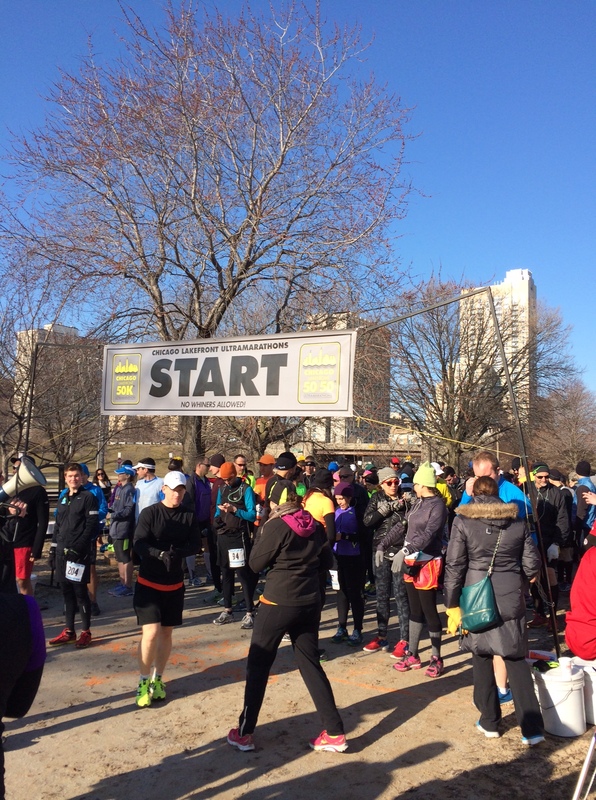 I had such a great experience at the Bank of American Shamrock Shuffle and thought for sure that it would be the same on Saturday. Overall, it is a well organized race. There was packet pickup on Friday and also on Saturday morning. It is so much cheaper than a full marathon. There is no crowd support but there were so many runners out there and a few of them cheered for us. 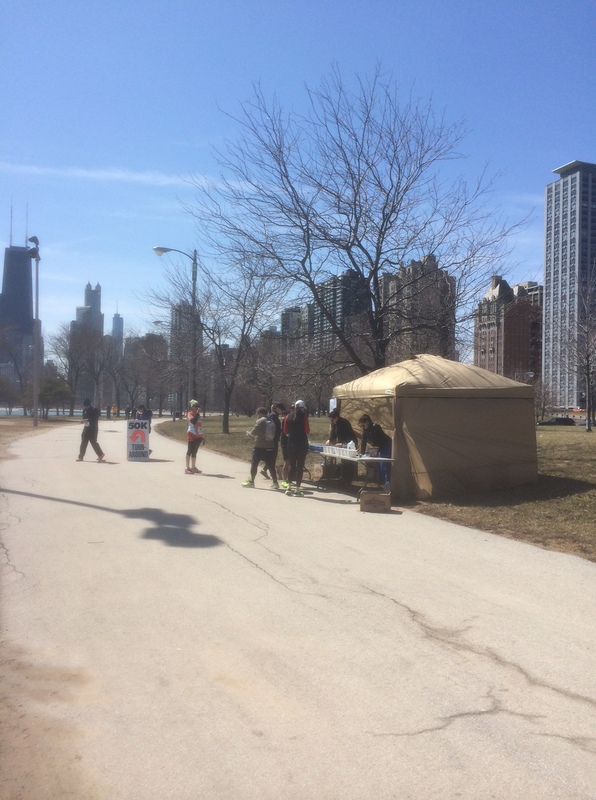 There are 3 aid stations on the course with plenty of water, gatorade, potato chips, pretzels, and other goodies. I realized I did not have to carry so many gels and Perpetuem solids with me because I could get them each time I passed by the pass/finish area where I left my bag. I like that there are 6 legs and each one is a little over 5 miles. This helps to mentally break down the miles and not focus so much that you have to run 31 miles. If you are thinking of running an ultra, then this is THE race to do. Part of me does not want to run another ultramarathon but then another part does want to and hopefully get a better finish time. Third time is a charm right? The chafing is so painful. I took my time taking a shower. I did get three blisters on my left foot and thought for sure I had lost a toenail. Oh, and I am constantly HUNGRY! 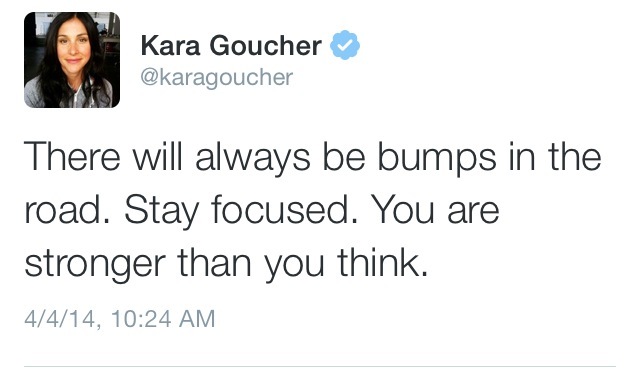 I saw this tweet from Kara Goucher (love her) and it made me feel a little bit better. My next race is the Nike Women’s Half Marathon in DC. I’ve heard so many great things about the race and am so excited about it. 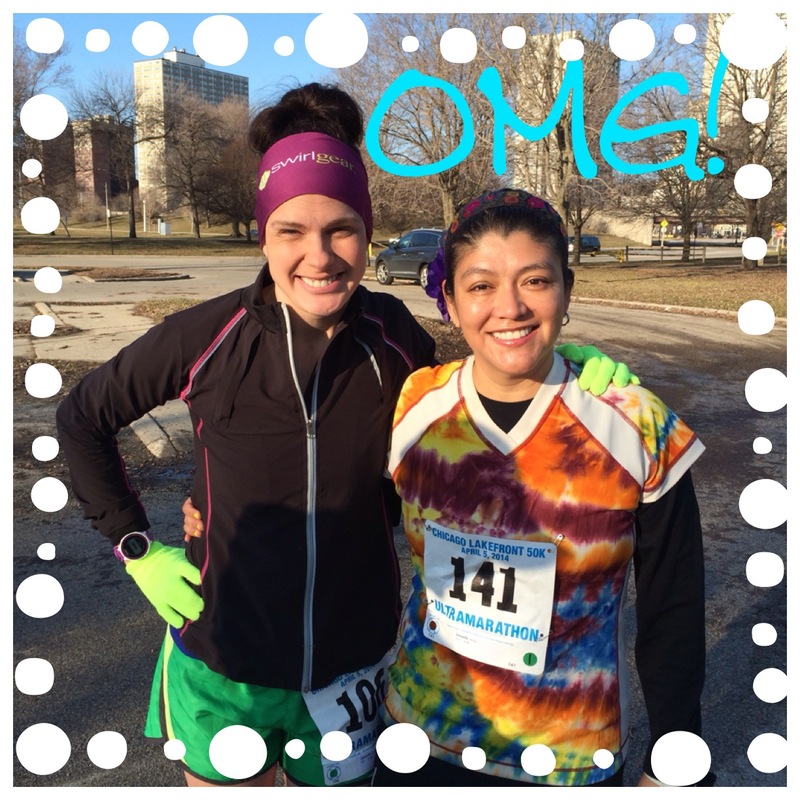 Nice job, Zenaida! Have fun in DC! Thanks Elizabeth! How are things going with you? What kind of pain where you in during the race, if not hip pain (when you took the ibuprofen)? Just general soreness? I hope you are feeling better today! Wow, you’re a rockstar!! I’m super excited about DC as well.. it should be great!! Great job Zenaida! It was fun running with you during your ultra.